Yesterday Barack Obama decided that the Center for Medicaid and Medicare Services really couldn’t go leaderless any longer, so instead of waiting fruitlessly for Senate Republicans while they obstructed his nominee for another few months he made a recess appointment. 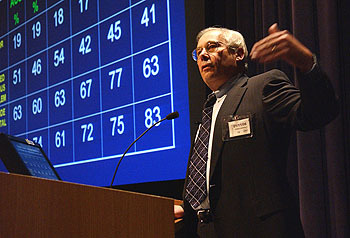 Donald Berwick is now the head of CMS. The rest of his reforms are pretty good too — though I guess I’m not sure how practical #5 is. In any case, sign me up as a Berwick fan! If Berwick cannot find a smooth confirmation, then no industry leaders who are nominated in a time of political polarization can. And that’ll mean, in the long run, that the best people will hang up the phone when they get that call from the White House, as they don’t want to see their past quotes pulled out of context and picked apart, and they don’t want to spend a year in limbo only to settle for a recess appointment, and they won’t be under any illusions that respect from both sides of the aisle and an unimpeachable record will be armor enough.